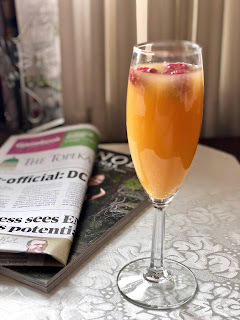 My fellow bloggers and I are quickly coming to the end of our Friday Gourmet Live 50 Women Game-Changers project. Just three more left on the list! After looking through her many recipes online, I decided to make her easy pizza sauce and dough. Not just because these are easy recipes, but also because I’m a pizza fiend. I love pizza in any shape or form. I already have my favorite homemade sauce, but I’m always open to something new. The sauce was easy to make. The only trick is to remember to mix it up a few hours in advance so the flavors have time to blend together. The dough was simple, too. Just basic pizza dough with ingredients like many others: flour, salt, yeast, water, and olive oil. I decided to make a plain cheese pizza with mozzarella and parmesan so I could really taste the sauce. The flavor was wonderful! The addition of the rosemary gives it a complexity not found in most pizzas. My only complaint was the sauce was too thin. I believe the recipe adds too much water, so my recommendation is to mix up the tomato paste and olive oil first, and then add the water a little at a time until you reach the consistency you enjoy. The crust was very good, though my husband, Michael, pointed out that it was a little salty. I’ll probably reduce the salt amount to 1 teaspoon the next time to see if it makes a difference. Also, if you enjoy a crispy crust, move the pizza from the baking sheet onto the oven rack for the last half of the cooking time. This allows the bottom to get brown and crisp. Just be sure to keep an eye on it, since it will also speed up the cooking time a bit. Mix together the tomato paste and olive oil. Add the water in a bit at a time until the sauce reached your desired consistency. You may not use all of the water. Add garlic, salt and pepper, to taste, oregano, basil, and rosemary. Mix well and let stand several hours to let flavors blend. No cooking necessary, just spread on dough. Add the warm water into a small mixing bowl or a standard 2 cup measure, sprinkle the yeast over the warm water and let stand until the yeast softens, 3 to 5 minutes. Mix slightly to dissolve yeast and allow it to proof for another 15 minutes in a warm spot in the kitchen. Add the room temperature water and 1 tablespoon of the olive oil to the yeast mixture and stir to combine. Measure the flour and the salt into the bowl of a stand mixer. Combine on very low speed with the paddle attachment. Slowly add the liquid ingredients to the dry, and increase the speed of the mixer slightly to incorporate the mass. Stop the mixer and replace the paddle with a dough hook if you have one. [I used the dough hook for the entire process.] Knead until the dough becomes smooth and begins to pull away from the sides of the bowl, about 4 minutes. Place the dough on a floured board and knead the dough by hand for another 1 to 2 minutes. Add flour to dust as needed to prevent sticking. Shape the dough into a ball and place in a very lightly oiled bowl and cover with a clean towel, let stand until dough doubles in size, about 1 hour. Preheat oven to 425 degrees F. With a rolling pin on a lightly floured surface, roll out the dough as evenly as possible. (I started with the rolling pin, and then moved the dough onto the baking sheet and used my fingers to stretch it out the rest of the way.) If you are only making a small pizza, the remaining dough can be placed into the refrigerator or frozen until ready to use. Hurray for Friday night pizza! Hope you enjoyed her recipe! I love easy doughs and pizza dough is just so gratifying ... within an hour, you have dinner on the table! 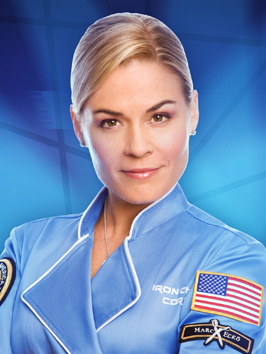 Cat Cora is the best! I love watching her on Iron Chef. This pizza looks awesome! And, you cant go wrong with a good pizza dough! Saturday night and it's time for pizza. The sauce does sound delicious!! OMG! I think even my kids would love the sauce. I loved your blog and the recipes...simply irresistible! Beth, I have to be honest--I've only seen Cat on Iron Chef a couple of times. But I love her recipes, and yes, a good pizza dough is a great recipe to have on hand. Purabi, thanks! I enjoyed checking out your blog, too!